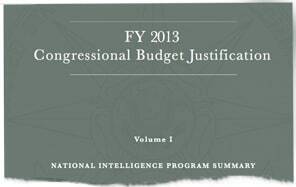 The $52.6 billion “black budget” for fiscal 2013, obtained by The Washington Post from former intelligence contractor Edward Snowden, maps a bureaucratic and operational landscape that has never been subject to public scrutiny. Although the government has annually released its overall level of intelligence spending since 2007, it has not divulged how it uses those funds or how it performs against the goals set by the president and Congress. Click on the title, read the article. Who does the federal government see as a threat? Those they watch. That’s who. Consider this, with a world full of threats and danger, why are US spy agencies illegally recording every communication of US citizens? Is it because the federal leviathan sees God fearing, Constitution respecting, family first Americans as the threat to its existence? Why would that be? Does Judge Napolitano explain accurately here? August 29, 2013 in Government Surveillance, NSA. ← RNL Gets SPAM from U.S. Govt Pushing Immigration? Why do we need 16 different spy agencies? “Hi, I’m with the Government and I’m here to help”. Wow! You mean we only spent $52 billion. I wonder how many GBU 12’s could be purchased for the same amount and dispersed as necessary to rid us of the problem permanently. (52,000,000,000 / $20,000 = 2,600,000). Then we could do away with the TSA and save another $7.9 billion or 395,000 more GBU 12’s. The only upside is it gives hackers a lot of opportunities to try to disrupt the system so they spend less time writing trojans to infect our computers. To me that’s almost worth the whole $52 billion. Lemme see, ….D.C. full of power mad megalomaniacs, able to spy on any one in the world, at any time…..What could you possibly have to worry about?